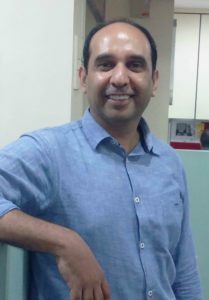 We are publishing the interview of Mr. Mohnish Sharma, CEO, DestaGlobal. DestaGlobal was founded in 2010 by Ron Boehm and Nishant Banore, with the goal of creating an organization that would benefit the farmers. 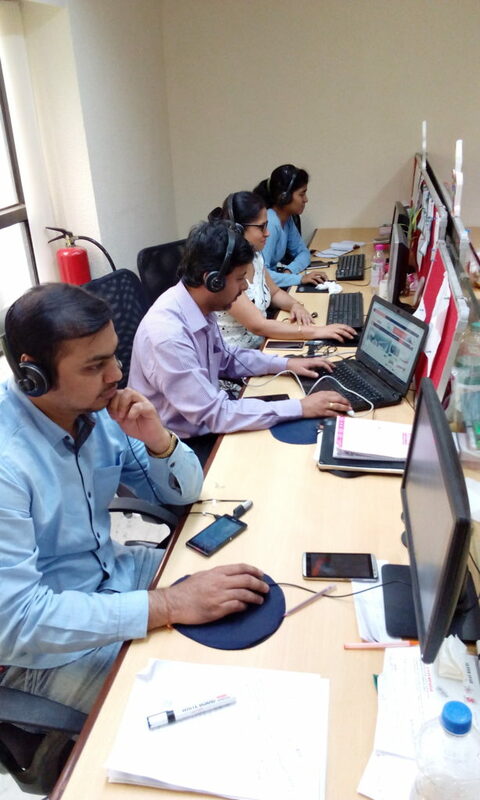 DestaGlobal’s mission is to improve the livelihoods of farmers in rural India by providing them with information, technology and innovative solutions that will help improve their produce and farming income. When the initial founders launched the company, their objective was to manufacture and sell agri-input products which would help farmers in agriculture. They soon realised that it was difficult to conduct rural marketing as there was an absence of concrete distribution channels. Thus, the company decided to pivot and transform their brick and mortar business model to an e-commerce model in 2014. Hence, the company launched DestaMart and DestaTalk in 2015. 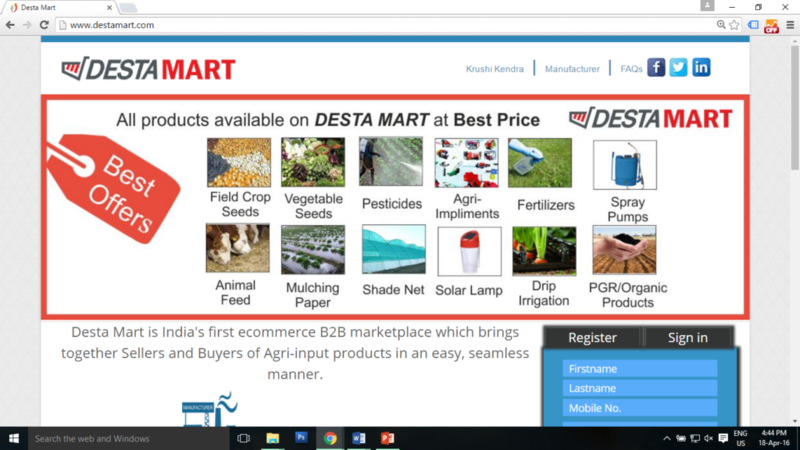 While DestaMart provides agri-inputs to agri store owners, DestaTalk targets the farmers by providing information related to the agriculture sector. With the pivot, the company decided to leverage the ever-growing internet penetration in rural India. By launching DestaMart, an e-commerce platform, the company aims to provide agri-input supplies, seeds, pesticides and fertilizers to the rural markets. Also through DestaTalk, the company provides crucial information on farming and the overall agriculture sector to the farmers via its website, SMSes, WhatsApp groups and Facebook page. DestaMart, since its launch in 2015, has reached out to more than 8000 agri-store owners in Maharashtra and over 1,600 products are registered on the platform. This goes on to show that B2B e-commerce has a huge potential in the rural market. This also proves that agri-store owners are increasingly adopting the internet in order to boost their businesses. 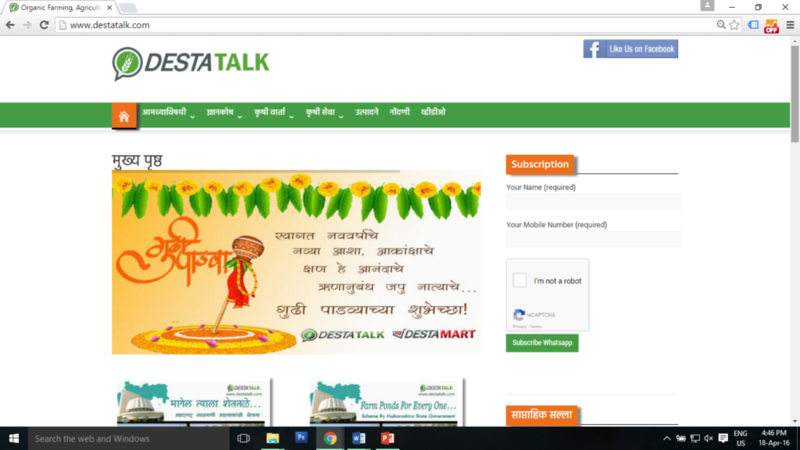 Additionally, DestaTalk has also garnered interest from farmers in rural Maharashtra. The website has over 30,000 subscribers, five thousand registered users on WhatsApp and around 1 lakh likes on its Facebook page. This confirms the fact that the Indian farmer is increasingly becoming tech-savvy and is willing to adopt innovative technology in order to raise his revenues. DestaGlobal is currently planning to expand DestaMart to neighbouring states such as Gujarat, Madhya Pradesh, Andhra Pradesh and Telangana. On the other hand, the company has already commenced the expansion of DestaTalk across India with its online photography contest ‘Desta Krishi Parivar’. What is your corporate vision? Where is your company headed? DestaGlobal deems farmers as businessmen and entrepreneurs. The company believes that if farmers are provided with affordable and easy to use technology which can help them to improve their crop yield, the farmers will definitely adopt that technology. The company aims to follow this ideology and help farmers in increasing their income by providing them with agri-inputs and relevant agriculture information. What does your brand promise? As it grows and evolves, what can stakeholders count on you to deliver? The brand promises to deliver convenience and affordable quality service to its customers. As DestaGlobal expands, the company aims to provide a trustworthy and a superior platform to farmers to fulfil all their agricultural needs. What is your solution’s unique selling proposition (USP)? 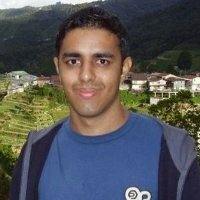 DestaGlobal is a unique company that provides both, B2B and B2C services, in the agriculture sector solely via the internet. The company aims to encourage an increase in the internet consumption in the rural areas by targeting the farmers and agri-store owners via the internet. Please find below the notable features of DestaMart and DestaTalk. DestaMart connects manufacturers and suppliers with agri-store owners on the platform. Overall, DestaTalk engages with 30,000 farmers on a monthly basis via its website, Facebook page, WhatsApp groups, SMS and more. 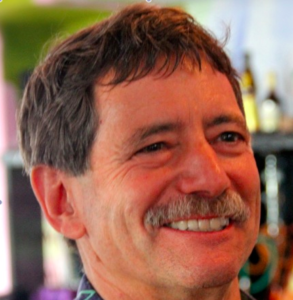 Previous articleWhy Should SMBs Sell Online?